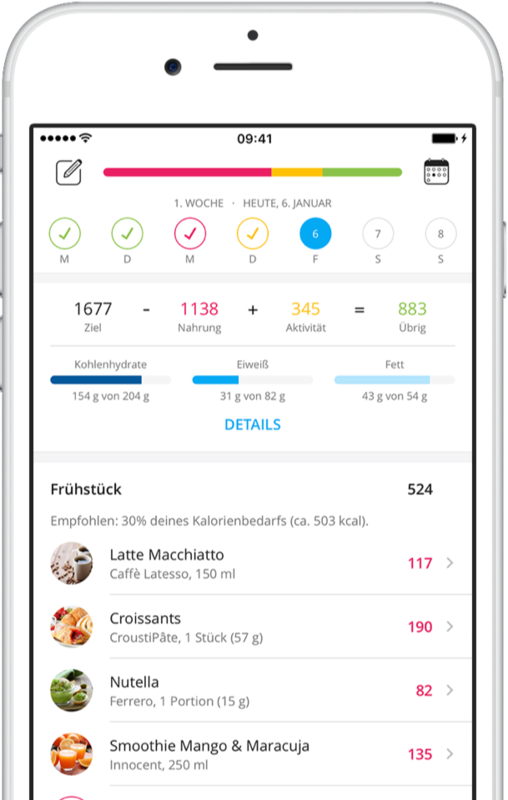 Welcome to Calories.info, a food database that will help you discover the caloric content and other facts about common foods. When you use the calorie database to understand how your body gets energy out of your favorite meals and snacks, paying particular attention to the number of calories in food you’ve eaten, you’ll be empowered to make dietary choices that never leave you with guilt (or a spare tire). To get started, browse the food categories below to find the calorie chart and nutritional information of your latest meal or its ingredients. Canned fruits have the same calories as fresh ones, but be on the lookout for added syrup. Fruit contains many nutrients and natural sugars, but most fruits are not calorie dense. Tropical and exotic fruits, including kiwi and bananas, are typically low in calories. Potatoes are a starchy root vegetable with calories mostly from simple carbohydrates. Vegetables of all kinds are low in calories and high in nutritional value. Fast food is very high in calories and low in nutrition compared to home-cooked meals. Everyone thinks pizza is high in calories and fat, but the ingredients can change that. A dairy product, cheese has similar nutritional value to milk but higher calorie density. Cream cheese tends to have high fat content, but low-fat versions have fewer calories. Dairy milk is nutritious, but options like lower calorie almond milk are becoming popular. The calories in sliced cheeses like Swiss are usually the same as typical cheeses. Yogurt is a dairy product with calories from protein, natural and added sugars, and fat. Beef and veal contain saturated fat and usually have more calories than poultry and fish. The calories in cold cuts are mostly protein, but lunch meats often have fat and nitrates. Meat is a primary source of protein and calories, but meats can also be high in fat. Offal and giblets may be discarded, but parts like hearts are low-calorie and nutritious. Pork, the meat from pigs, can be high in calories like bacon or lean like tenderloin. Chicken and other poultry and fowl are recommended as a lean, low-calorie source of protein. Sausages can be stuffed with any type of meat and therefore vary in calorie density. Venison and game meats are a great source of protein with fewer fat calories than beef. Pastries like cakes and pies tend to be calorie-dense to lots of cream, butter, and sugar. Some candies are low in calories but 100% sugar, whereas other sweets have added fats. Ice cream has low nutritional value because it is calorie dense with a lot of sugar. Fruit juice has nutrients but is calorie dense, providing energy in the form of sugar. Since alcohol calories have few nutrients, it’s best to limit intake for a balanced diet. Beer, made from fermented grains, contains calories from both alcohol and carbs. Non-alcoholic beverages can be non-caloric, like water and tea, or high calorie like cola. Soft drinks like soda contain sugar or other sweeteners and are often empty calories. The standard glass of table wine has about 150 calories, but sweet varieties have more. Most calories in whole grains and cereal products come from complex carbohydrates. Oatmeal and other cereals offer mostly carbohydrate calories, including dietary fiber. Since pasta and noodles are made almost entirely of flour, the calories are mostly carbs. Calories in dishes and meals are calculated by totaling the nutrition of all ingredients. Soups are often low in calories, but check the label since any foods can be included. Beans and other legumes are nutritional foods with calories from carbs, fat, and protein. Nuts and seeds are high in fat and therefore calorie dense, but they are very nutritious. Calories from oils are pure fat, but certain varieties like avocado are heart-healthy. Vegetable oils have the same calories as animal fat but are suitable for all diets. Herbs and spices often add negligible calories to a meal but offer high nutritional value. While quality of food is important for a healthy diet, quantity is also a major factor of good nutrition. Especially for anyone concerned about maintaining or losing weight, it’s a good idea to regularly review a calorie database and nutrition labels to see how much fuel you’re getting to feed your daily activity – and if it’s too much. Those extra calories, after all, are converted to excess body fat. It’s common to think of calories in food as a way to measure amounts, but that’s not quite accurate. One hundred calories of peanut butter, for example, is only a spoonful or two. But one hundred calories of vegetables can equal several cups! Calories are a unit of measurement to show how much energy you will get from a serving of food. Therefore, to lose weight, it’s best to limit any calorie-dense foods – anything where you get a lot for a little – so you can eat enough food to really feel full. But when restricting food intake, it’s important not to follow too extreme of an eating plan. Before they get stored as fat, the calories in food are converted into fuel for everything from organ and brain functions to walking around and even just sitting upright. The number of calories your body needs for minimal functions – that is, simply lying in bed all day – is called basal metabolic rate (BMR). That’s the starting point to calculate how many food and drink calories you can consume in a day. Then, how much you move and how vigorously determines if you have room in your healthy diet for more calories. Very active individuals should use the nutrition database to locate foods with a lot of energy, as indicated in the calorie chart by a high number per serving. Those whose lifestyles involve minimal activity, such as commuting to an office job by car, should look at nutrition facts to plan meals that have larger portions with fewer calories; same goes for anyone following a weight loss diet. Regardless of how many calories you are eating, it’s also important to review the nutritional value of every item in your diet. That’s where quality of ingredients comes into play. Healthy eating habits must revolve around a balanced diet, and that means getting a mix of complex carbohydrates, good fats, and lean proteins. In general, healthy foods are not processed and contain a lot of nutrients like vitamins, minerals and antioxidants. Foods in the nutrition chart that have a high number of calories and few nutrients should be eaten rarely or avoided altogether. Those ingredients and food products with low nutritional value are considered as having empty calories. Another way to spot a healthier choice is by looking near the nutrition facts for the ingredients list. If the foods used to make the product are ones you could purchase in the grocery store and use to cook from scratch in your own kitchen, it’s made with whole foods. If instead there are a lot of hard-to-pronounce chemical names, put the product back on the shelf. Then keep looking until you find an item without fillers and artificial flavorings. Before you venture out for your next grocery shopping trip, arm yourself with knowledge by making a list of good-for-you ingredients that you’ll enjoy eating. Review the calorie charts in the nutrition database to compare your options, and note which of your favorite foods are nutrient-dense. Are the calories from beef or fish better for you? What can you put in a salad to make it a delicious, low-calorie meal? And what makes sweet potatoes more nutritious than the regular white ones? There’s no better time than now to discover what’s in your ideal healthy eating plan. Search Calories.info to take the first step toward better nutrition.